Local meteorologists called for a weekend forecast of cloudy with a high chance of good vibes for southern Illinois, and well, they were spot on. On May 19, Granite City was host to the first-ever Toad Road Music & Arts Festival. From 1:30 to 11 p.m., people from all around the area came to experience excellent local art and music. This event was held at Granite City’s Elk Pavilion where there is a very large field beside a pavilion suitable for sizable events. People in attendance enjoyed food and drink all while listening to live music, checking out the art vendors and even playing corn hole. 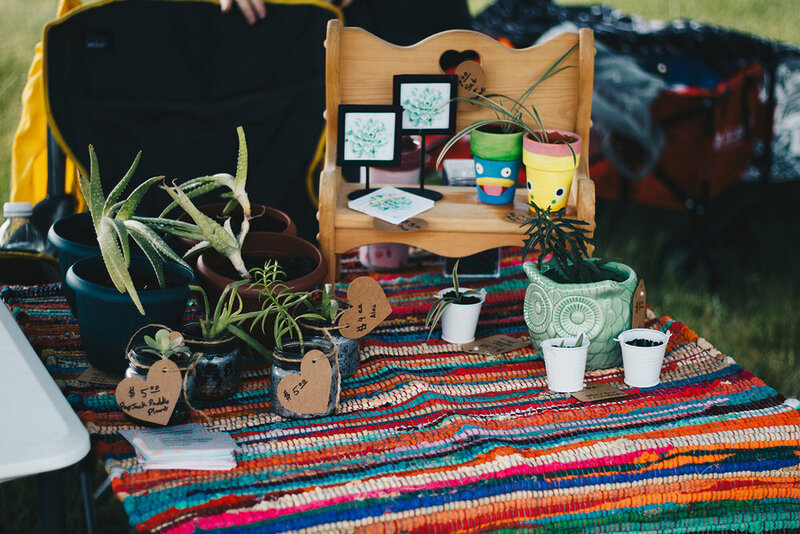 The visual arts aspect embraced a variety of art which included: marble pour paintings, hand-built and wheel-thrown ceramics, stickers, posters, paintings, linoleum prints, photographs, natural soy candles, wire-wrapped jewelry and hand-sewn kitchen accessories. Artists who participated consisted of Enola Lynn, Audrey Parsell, Bryan Bethel, Dan Price, Arianna, Hanna Priest, Sew Cut Up, Luna Soyleil and your very own Warm Soda Magazine. Good vibes were flowing all around, even despite the short-lived rain storm, which did not stop people from having a good time. The music had just begun when the rain began to pour, but after the coast was clear, the music began once again and the art vendors opened back up. As soon as the tunes started to swirl around the air, so did the audience. 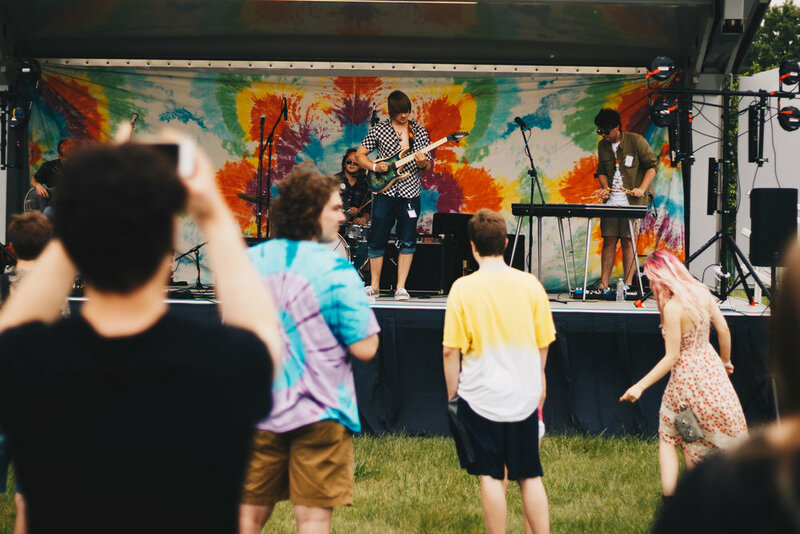 Artists from the St. Louis area as well as Hillsboro, Mo., Carbondale, Ill., and Edwardsville, Ill., performed a range of music that included psychedelic pop, jazzy rock, Americana indie rock, garage surf rock, funky alternative rock and heavy psychedelic rock. The talented musicians consisted of Mr. Magenta, Red Foreman, The Defeated County, Jr. Clooney, Backwash, Topple, Hallquist Brothers Band, Mother Meat, The Judge and Brother Lee & The Leather Jackals. At the end of the day, it is easy to say that Toad Road Music & Arts Festival was a success in sharing excellent art with the local community, and not to mention, sharing it directly with the Granite City community where art is becoming more and more prevalent. Let’s keep the art flowing in and out of Granite City!